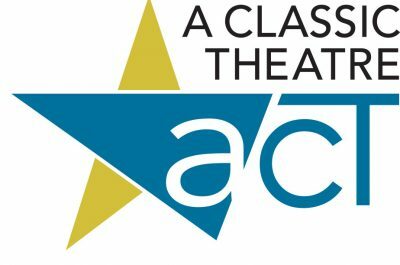 A Classic Theatre is a non-profit 501c(3) theater company established to bring classic, historic and original theatrical works to the cultural landscape of St. Augustine. 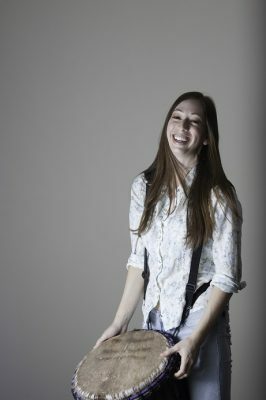 We are a nomad theater and produce our shows in a variety of venues in St. Augustine. It’s always an exciting journey finding where our next production will be…and we are happy that our audiences do find us! Abella’s School of Dance offers a variety of classes that are structured to improve and advance a student’s technical, artistic, and performance skills with a talented roster of certified and excellent teachers. Our goal is to educate our dancers and teach them the skills needed for a healthy and successfull life; integrity, respect, dedication, confidence, and etiquette. All levels of dancers are welcome, whether or not they intend to pursue a career in dance. Luis Abella is certified with the American Ballet Theatre’s ABT® National Training Curriculum. Abella received certification for Primary to Level 7 & Partnering. ABT® Certified Teachers have completed intensive training in the AMERICAN BALLET THEATRE® National Training Curriculum, an eight level program that combines high quality artistic training with the basics of dancer health and child development. Abella’s is a Peanut Free environment. Betty Griffin House Mission is: To offer protection and quality services for victims of Domestic Violence and their minor children and/or victims of Sexual Assault and their families of St. Johns County, FL, through operation of a shelter offering assistance, counseling, and transitional support. To educate the community about services provided and raise awareness of the problems of Domestic Violence and Sexual Assault in order to break cycles of abuse. Non-profit organization providing benefits for children and teens through many prevention programs. Compassionate St. Augustine (CSA) is the grassroots organization that led a successful campaign for the City Commission and Mayor Officially to officially proclaim (9/9/2013) that St Augustine had met the requirements of the Charter for Compassion International and in turn had become the first Compassionate City in Florida and the 20th in the world. The principle guiding over 50 Compassionate Cities, Regions and Countries and over 250 candidates worldwide is ––"treat others as one would like others to treat oneself." Compassionate St. Augustine's mission is to inspire, influence and grow a culture of compassion through advocacy, awareness and action. As part of CSA's multi-year plan, our Obelisk Art 450th public art project will pay tribute to St. Augustine's 450th anniversary in 2015. This large-scale fiberglass commemoration of the city's story line will artistically encourage members of our historic city and beyond to follow and respect four values –– Freedom, Democracy, Huan Rights and Compassion –– that are the foundational pillars of the historic Monumento de la Constitución obelisk of the city's public square. As a tribute to those values and St. Augustine’s history, culture and diversity, this unique project will showcase the talents of 25 renowned First Coast, national and international artists who will be selected to imaginatively adorn 8.5’ fiberglass replicas of the iconic obelisk. In September 2015, these obelisks will be unveiled at Flagler College’s Crisp Ellert Art Museum and be on exhibit for a month. Afterwards, they will be displayed citywide on notable sites citywide. They will be auctioned in 2016. Four-foot obelisks (with a corresponding curriculum) will be given to 21 St. Augustine public, private, charter and parochial schools’ art departments for fourth grade students to artistically interpret. Plans for other projects for the 450th include lectures, visiting artists, other exhibits, book studies, and a compassionate film festival. We are a 501(c)3 nonprofit organization that is proud and honored to have been awarded a $30,000 grant from the Dr. JoAnn Crisp Ellert Fund of the Northeast Florida Community Foundation to help support this project. Council on Aging of St. Johns County is a 501-c3 organization that provides the opportunity for every person in St. Johns County to enjoy wellness, longevity, and quality of life choices within a strong, healthy community. 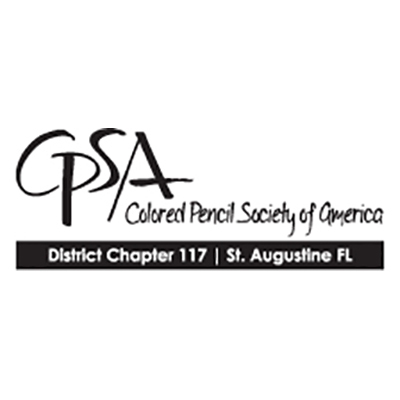 We as a chapter are part of the national group, CPSA, the Colored Pencil Society of America. It was founded over twenty years ago and grew into an organization that now has a yearly International Convention and Exhibition in various cities across the country. This International Convention brings members together annually to network with other artists across the country, attend the membership meeting, attend the Exhibition and Awards Banquet, and take workshops from notable artists in this field. Members who cannot attend this convention, are able to see the judged results of the competition on the CPSA website and through the CPSA publication. How Our Chapter Started Our chapter began with a number of colored pencil enthusiasts and their desire to share and nurture their love of colored pencil art. Founders Bill Shoemaker and Hanneke Jevons, along with six charter members, formed the local group. They requested acceptance and became a chapter in August 2005. CCPVB is a non-profit 501(c) (3) arts organization located in Ponte Vedra Beach, Florida dedicated to providing a place for everyone in the Jacksonville region to create, understand and experience the arts. We bring the arts to our community through art exhibitions featuring local, regional and nationally known artist; art classes and workshops for children and adults; children’s summer camps; and creative events that support educational programming. Our outreach programs serve children with disabilities, special education needs, and low income families. 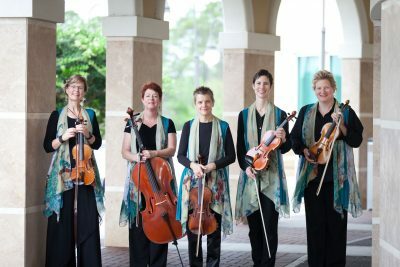 With nearly a thousand patrons, members, and supporters who live in the Ponte Vedra neighborhoods and over 8,000 students each year, The Cultural Center is the hub of the vibrant artistic community here in Ponte Vedra Beach. MISSION To strengthen our community by assisting individuals and families impacted by drugs and alcohol, mental health disorders, and related problem behaviors through a comprehensive system of Education, Prevention, Intervention and Counseling. . VISION The source for quality, comprehensive behavioral healthcare in our community. CORE VALUES • Ethical & Confidential • Consumer Focused • Empathetic & Compassionate • Committed to Continuous Improvement • Demonstrating Dignity & Respect • Culturally Competent & Diverse • Accessible & Proactive • Dedicated & Responsive PHILOSOPHY EPIC Behavioral Healthcare (EPIC) believes that recovery from addiction/substance use disorders and mental health disorders is real and that people can and do overcome the internal and external challenges, barriers, and obstacles that confront them. EPIC agrees that addiction is defined as a chronic, relapsing brain disease that is characterized by compulsive drug seeking and use, despite harmful consequences. EPIC also recognizes that many individuals served by our agency are challenged by a mental health disorder. While treatable, EPIC believes that substance use and mental health disorders impact all areas of an individual’s life, including all their relationships, vocational/education goals and skills, emotional well-being and their physical health. For both substance use and mental disorders, our commitment is to provide effective, affordable, evidence-based, culturally-sensitive comprehensive care to impacted individuals and families. EPIC pledges to provide quality services and care to our community’s most vulnerable citizens. We will work to improve understanding in our community about mental and substance use disorders, we will promote emotional health and the prevention of addiction/substance use and mental disorders and will increase access to effective treatment and wellness programs while supporting recovery. EPIC promises that children, adolescents, families, adults and seniors will find the support and help needed through our continuum of care to improve their health and wellness, live a self-directed life, and strive to reach their full potential while on the path to recovery from addiction/substance use disorders and mental health disorders. Accommodations are available for persons who are disabled or deaf/hearing-impaired. For assistance, call 904-829-2273, x7016. Festival of Chariots is an ancient multi-cultural parade and Bhakti yoga wellness festival founded on the traditions of India. Bhakti yoga is the yoga of love. If you’ve ever dreamed of visiting exotic places, we have a treat for you. GET A TASTE THE EAST without leaving Florida! The event includes entertainment, live music, singing, dance, drama, book and healthy living booths, bazaar, yoga classes, healing arts workshops and healthy vegetarian food. Festival of Chariots is the oldest known parade in the world. The parade’s unique feature is a huge 25 ft tall, brightly colored chariot ornately decorated with swans, lotus flowers, flags and auspicious symbols. The chariot has 100 ft long ropes that are pulled by anyone who wants to join in, propelling the chariot along the beach. Riding on the Chariot is the Lord of the Universe, encouraging everyone to come together and celebrate life, peace and well being while uplifting our consciousness. Accompanying the parade is live, spiritually inspired kirtan music and dancing, backed by exotic drums & hand cymbals. It’s an ecstatic, exciting event, a vision from another world! The credit for this beautiful and inspiring event goes to the Founder/Acharya, His Divine Grace AC Bhaktivedanta Swami Prabhupada, who came to America in 1965, at the age of 70, and introduced the timeless tradition of the Festival of Chariots (known as Ratha Yatra) to the West. His vision was to inspire people from all walks of life towards a peaceful, spiritual society. The festival has attracted millions of people during its annual celebrations in major cities around the world. Over 10,000 plates of vegetarian food are served free of charge between the nine festivals held each year in the state of Florida: Miami, Jacksonville Beach, Tallahassee, Orlando, Tampa, Gainesville, Daytona Beach, Clearwater Beach & St. Augustine. 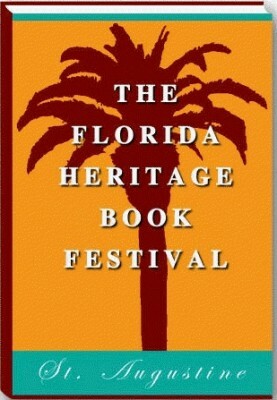 The Florida Heritage Book Festival, founded in 2008, is an annual event. Since its inception, more than 200 nationally known authors, writers, and thousands of Festival attendees have enjoyed our events. We offer author presentations, panel discussions, book signings, and a Writers Conference focusing on both the craft and the business of writing. Our feature event is the Literary Legends Awards Banquet where we honor a Florida author for his or her contribution to literature and culture. The Florida Heritage Book Festival is a community-based nonprofit organization that depends on your donations and support. We are a 501(c)(3) corporation, so your donation is tax deductible. Florida Literary Arts Coalition, Inc is a non-profit IRS 501(c)(3) organization. Founded in 2004 by Anhinga Press, Fiction Collective 2, and the University of Tampa Press, the Florida Literary Arts Coalition is a network of writers, teachers, editors, publishers, and sympathetic institutions collaborating to advance new writing and independent publishing throughout the state and region. 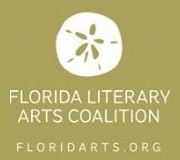 The Florida Literary Arts Coalition is also a founding co-sponsor of the Florida Book Awards. 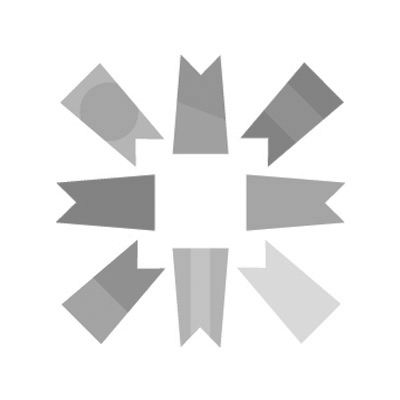 FLAC is a member of the Association of Writers and Writing Programs (AWP) and Writers' Conferences and Centers (WC&C). A non-profit, 501(c)3 created for the specific purpose of supporting the increasing public awareness of the growing interest in the historic heritage of the greater St. Augustine, Florida area through educational programs and charitable activities. Friends of A1A Scenic & Historic Coastal Byway is a non-profit organization with a mission to preserve, protect, promote and enhance the outstanding resources of the 72-mile A1A corridor through NE Florida’s coastal counties of Flagler and St. Johns. The organization is composed of volunteer citizens who collaborate with municipalities, government agencies and other civic groups to improve facilities, amenities and promote interpretive stories about the area’s intrinsic resources including nature, culture, recreation, archaeology, scenery and history. The U.S. Department of Transportation designated the A1A Scenic & Historic Coastal Highway as a National Scenic Byway in 2002. The 72-mile corridor covers both St. Johns and Flagler counties, spanning from the Volusia/Flagler County Line to the St. Johns/Duval County Line on the east coast of Florida. The Byway is one of 150 National Scenic Byways in the country and one of 23 scenic highways in the state of Florida. 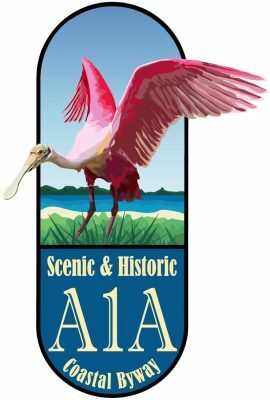 The A1A Scenic and Historic Coastal Byway emerged from three Florida Scenic Highways originating in the late nineties: A1A Ocean Shore (Flagler County -south), A1A River to Sea Trail (Flagler County -north), and Scenic and Historic A1A (St. Johns County). 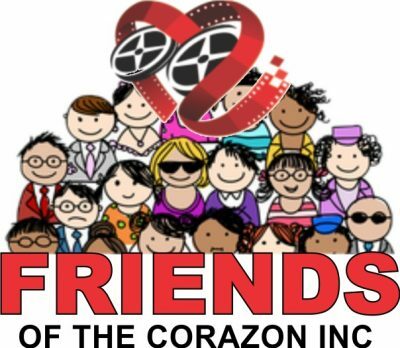 “Friends of the Corazon Inc., is a nonprofit organization whose purpose is to enrich, educate and entertain the St. Augustine community through the universal language of cinema and the visual and performing arts.” Friends of the Corazon, Inc is a 501 (C) (3) non-profit cultural organization. 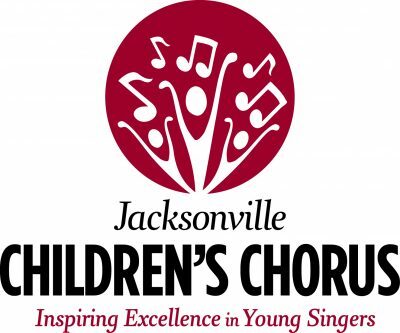 The Jacksonville Children’s Chorus (JCC) was founded in 1995 at Jacksonville University to fill a need for a children’s music program in the area. Led by Dr. Frances B. Kinne, then Jacksonville University president, the plan to create a local choir was implemented by Dr. Jon O. Carlson and Jim Taylor, who served as the first conductor. In that first year, JCC had only 16 voices. Since then, it has grown to a membership of more than 350 singers participating in five choirs. JCC faced many challenges because it was a small arts organization with little financial support or visibility in the community. JCC gained name recognition in 2001, when it was named the designated children’s chorus of the Jacksonville Symphony Orchestra (JSO). To ensure diversity among its members, in 1998 JCC established a scholarship program to provide financial assistance to those families who cannot afford tuition. This year, more than 35% of the singers receive either partial or full scholarships. In 2003, JCC created the annual First Coast Honors Choir Festival, a daylong event for area fourth through sixth grade students. A guest clinician is invited to conduct the Honors Choir, which is assembled from students who have been recommended by their music teachers from Jacksonville’s 160 public and private schools. In conjunction with this event, JCC hosts a free Midwinter Music Workshop for area school music teachers. The Board of Directors appointed Darren Dailey as the Artistic and Executive Director in 2006. Since that time, JCC has expanded its choir programs, and has developed self-produced, sold-out concerts including the annual Martin Luther King, Jr. “Lift Ev’ry Voice and Sing” event, the annual Cool Side of Yuletide holiday concert and concerts featuring guest artists such as Amy Grant, Voca People, Kristin Chenoweth and Audra McDonald. In his 10th Anniversary year of 2016, Darren Dailey was appointed as President and Artistic Director. As JCC grows, it has created new choirs and new opportunities for its singers. The Young Men’s Chorus, established in 2011, is designed to meet the specific needs of young men who are experiencing voice expansion. The Touring Choir, established in 2011, travels nationally or internationally in the summer after a year of hard work and performances. From 16 singers in 1995, JCC has developed into one of Jacksonville’s most important providers of music education, enriching the lives of singers and audiences across the region. Our vision is to see more people drumming for good – for their personal joy and wellness, and for igniting positive change in their communities. 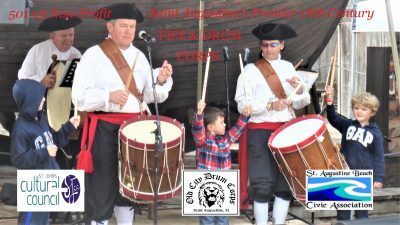 We are a mobile business that brings the drums and the fun to your organization or event! Our mission is to provide top-quality interactive rhythm programs for empowering and purposeful experiences – not only for use right now, but for lifelong wellness. We work with all ages and backgrounds of people in order to introduce the joys and benefits of rhythm and music making to them. What kind of benefits come from a group music making/drumming experience? Lots! Participating in music making as a group can: provide stress relief and relaxation; promote health and wellness; encourage community/team building, socialization, and problem solving at any level; improve focus and concentration; boost creativity; and build self-esteem and self-confidence. The benefits go on and on! Keepers of the Coast is a local non-profit organization, which focuses on wildlife education and conservation of sea turtles and other species that we share our beach and ocean environment with. The organization’s operation is completely reliant upon volunteer support, collaborative sponsorship for all events, and monetary donations. 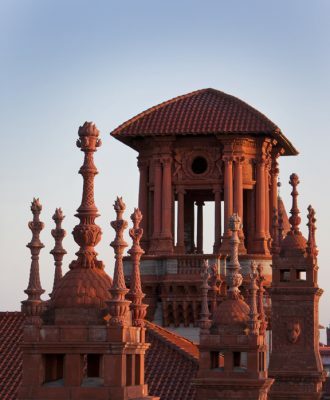 Otto Lightner’s collection of fine and decorative Victorian Era art and relics is housed in the former Alcazar Hotel, which was built by railroad tycoon and hotel developer Henry Flagler in 1888. The hotel was at the peak of its popularity during the 1890’s. More than 25,000 guests visited the Alcazar during those early winter seasons and countless more used the recreational facilities of the casino. For the pleasure of the guests, there was the world’s largets indoor swimming pool, the grand ballroom, sulfur baths, a steam room, massage parlor, a gymnasium, a bowling alley, archery ranges, tennis courts and a bicycle academy. The museum opened to the public in 1948 after the hotel was purchased by Otto Lightner to house his collections. From typewriters to Tiffany, Otto Lightner’s collections of fine and decorative art from the 19th century were impressive and extensive. The museum’s eclectic collection ranges from a mummy, shrunken heads, human hair art, cigar labels, buttons, salt and pepper shakers, to Tiffany glass, cut glass, porcelain, fine art paintings, furniture and sculptures all housed throughout the four floors of the original Alcazar Hotel. Antique mechanical musical demonstrations are offered daily at 11 a.m. and 2 p.m. Group adult and children’s tours are available. Reservations must be made in advance. 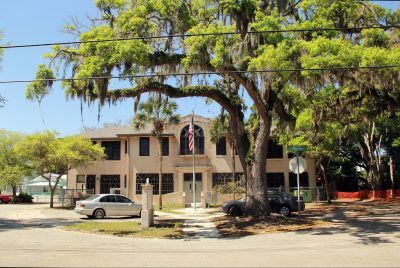 The Lincolnville Museum and Cultural Center, located in our Nation’s oldest city, seeks to preserve and showcase the rich African-American history of St. Augustine. It is located in the historic district of Lincolnville, just 2 blocks from downtown St. Augustine. With the recent addition of a cultural center, the LMCC will provide a number of educational and performing arts programs to all members of our community. 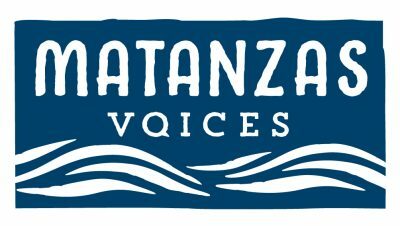 Matanzas Voices is a multimedia oral history initiative documenting life and work on northeast Florida’s Matanzas River, whose estuary stretches approximately twenty-three miles southward from the St. Augustine Inlet to seven miles south of the Matanzas Inlet in Flagler County. The Ancient City Chapter MOAA was Chartered as a Chapter of the Military Officers Association of America, Inc. in 1992. We are a member of the Florida Council of Chapters MOAA. If you are or ever were an officer in any of the military organizations, you are eligible for membership in our chapter and invite you to join our group. Saint Augustine Ballet is a 501(c)3 non-profit arts organization dedicated to creating dance opportunities for students of dance and providing the community with quality ballet performances. Our dancers gain valuable experience in classical ballet by performing alongside professional dancers fro world-class companies. Each year we produce two full-length ballets. In December, we present our signature production and holiday favorite, The Nutcracker. Our annual production of The Nutcracker features a cast and crew of over 100 participants that includes professional dancers, students, and community celebrities, ranging in age from 3 to 70+ years. Our second production occurs in the spring. Past shows have included Peter and the Wolf and A Midsummer Night's Dream. Saint Augustine Ballet strives to involve community members of all ages in meaningful dance experiences whether as dancers or audience members. The Saint Augustine Concert Band is a 65 member professional performing ensemble consisting of members of the woodwind, brass, and percussion families of instruments. Band members range in age from 18 to 70 years of age. The Band typically performs five concerts per year in October, December, March and May. The type of music that they play is what distinguishes them from other musical groups…Typically, a concert band’s program will include original compositions, transcriptions and arrangements of orchestral compositions, light music, and popular tunes. Some of the most important concert band composers of the 20th and 21st centuries include Samuel Barber,Hector Berlioz,Aaron Copeland and Antonin Dvorak. But it’s the work of the new generation of composers that are getting the attention of music lovers around the world. Concert band composers such as Frank Ticheli, Rossano Galante, John Mackey and Jess Langston Turner have audiences requesting their moving pieces; their music is proof that beautiful “classical music” is still being created today. The Band’s Musical Director is Geoff Magnani, President is Steve Zukowsky and Vice President is Michael Mann. The Saint Augustine Maritime Heritage Foundation, Inc. is a non profit organization whose mission is to preserve, promote, and educate the rich maritime heritage of the port of St Augustine.